On December 1, 2015, Breitbart News reported that Black Friday 2015 set a Black Friday and overall single day record with 185,345 checks in a 24-hour period. 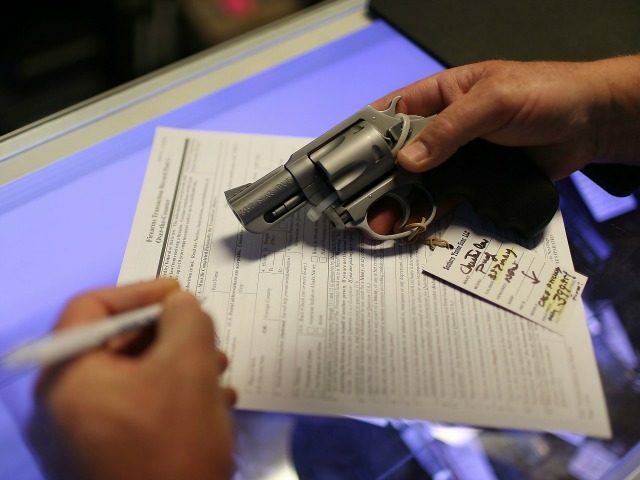 But FBI numbers for November 25, 2016 show that the number of background checks performed on Black Friday 2016 surpassed the 2015 record by a few hundred checks. According to Business Insider, “the FBI processed 185,713 background checks” on Black Friday 2016. On November 26, 2016, Breitbart News reported that gun stores were witnessing lines outside their doors that wrapped around the corner. These lines were a welcome sight to store owners who wondered if Hillary Clinton’s defeat might negatively impact gun sales. After all, fears of more gun control had driven gun sales to new highs over the past 18 months and Clinton’s defeat removed gun control fears for all intents and purposes. It is always important to remember that background checks are not a precise indicator of the number of guns sold because background checks are performed on the purchaser rather than the firearm–and a purchaser can buy multiple firearms after passing a background check. Therefore, if everyone who passed a Black Friday background check bought two guns it means 371,426 guns were sold at retail in one day. If they bought three guns it means over half a million guns were sold on that one day alone.